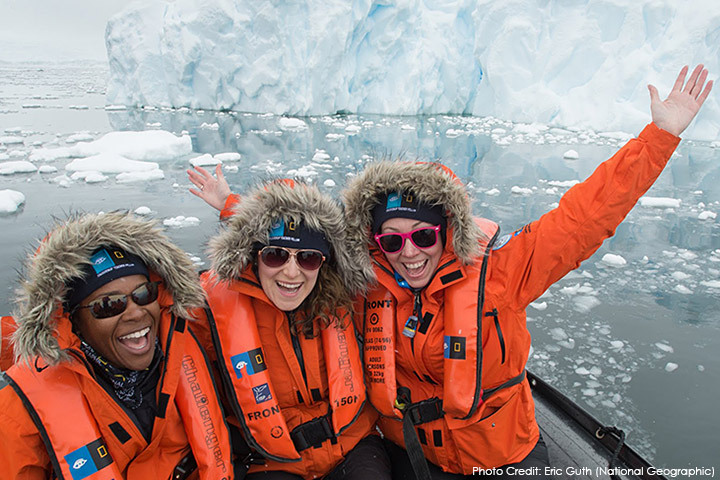 In her blog about her ongoing National Geographic expedition, Jordan High School teacher Kelly Meade describes close encounters with penguins and leopard seals, and she chronicles her “Polar Plunge” into the icy waters of Antarctica. She departed on the trip last month with other educators from the U.S. The excursion gives teachers expertise to bring back to their classrooms and colleagues. “I started thinking of words that someone might ask me to describe this place as. Majestic, transformational, awe-inspiring, pure, cold, ridged, mysterious, crisp, none can do it justice,” Meade writes. Read Meade’s blog entries on her website at sites.google.com/view/KellyMeade.